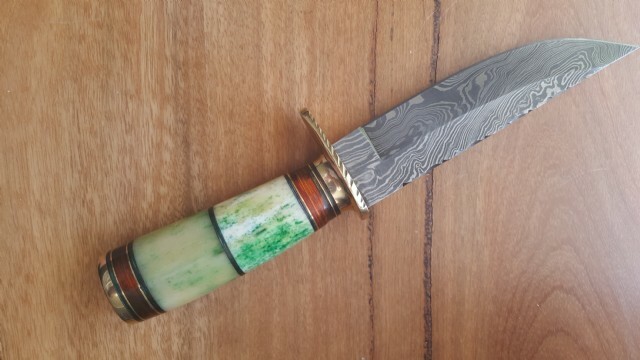 Something different with this green bone DINGO knife beauty. 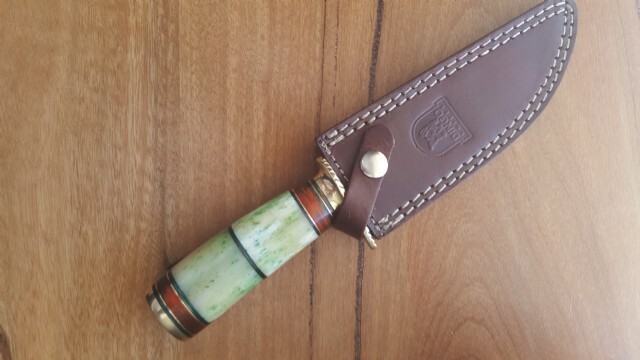 High detail 5 inch two tone green bone handle with brass spacers. 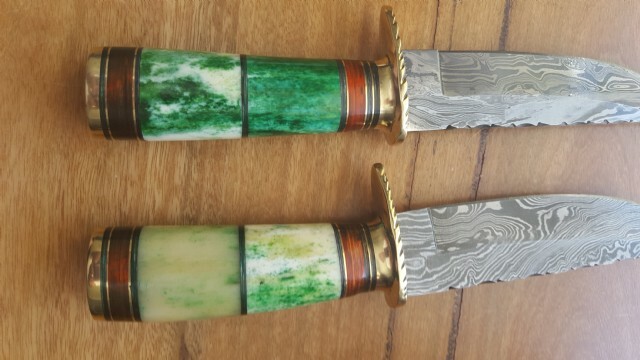 NOTE: There can be some colour variation in the green bone handle.